Catalogs, Posters, Brochures, Packaging, Marketing Materials, etc. For large quantity runs that are of the highest quality, we recommend Offset Printing as the method to use. With Offset Printing, there are many different print techniques we can use to enhance the appeal and quality of your items. Our Offset Print Facility is state-of-the-art, using only the latest technologies. What are the advantages of Offset Printing? Consistent high image quality. Offset printing produces sharp and clean images and type more easily than letterpress printing because the rubber blanket conforms to the texture of the printing surface. Longer printing plate life than on direct litho presses because there is no direct contact between the plate and the printing surface. Properly developed plates running in conjunction with optimized inks and fountain solution may exceed run lengths of a million impressions. Cost. 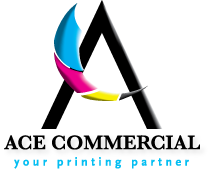 Offset printing is the cheapest method to produce high quality printing in commercial printing quantities. A further advantage of offset printing is the possibility to adjust the amount of ink on the fountain roller with screw keys. Most commonly a metal blade controls the amount of ink transferred from the ink trough to the fountain roller. By adjusting the screws the gap between the blade and the fountain roller is altered, leading to the amount of ink applied to the roller to be increased or decreased in certain areas. Consequently the density of the colour in the respective area of the image is modified. On older machines the screws are adjusted manually, but on modern machines the screw keys are operated electronically by the printer controlling the machine, enabling a much more precise result. What are the disadvantages of Offset Printing? Propensity for anodized aluminum printing plates to become sensitive (due to chemical oxidation) and print in non-image/background areas when developed plates are not cared for properly. Time and cost associated with producing plates and printing press setup. As a result, very small quantity printing jobs are now moving to digital offset machines.